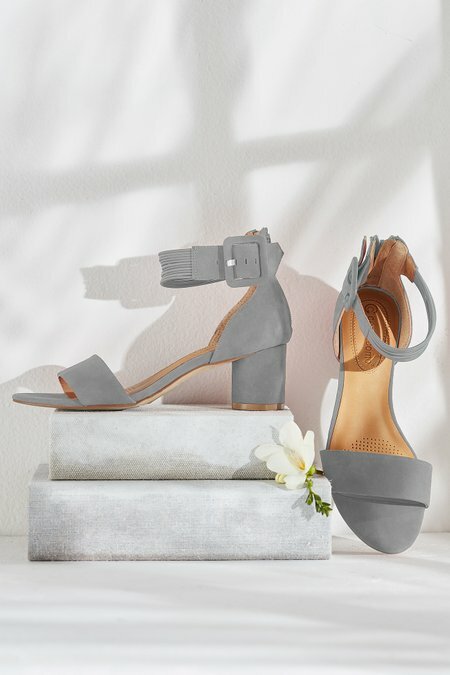 These fashion-find sandals add the allure with a corded ankle strap and adjustable covered buckle, plus a curvy covered heel. Wonderfully comfy, choose a versatile neutral or high-impact bright, both in rich, soft suede. 2" heel.